On this day in history, May 1, 1778, Brigadier General John Lacey loses the Battle of Crooked Billet. The previous fall had been devastating for the Americans. Philadelphia was captured and the Americans had lost the Battles of Brandywine and Germantown attempting to defend the city. Forts Mercer and Mifflin were destroyed, opening up the way for British reinforcements to the city. George Washington took his worn out army to a miserable winter at Valley Forge. The British often made excursions out of Philadelphia on foraging expeditions to confiscate the produce of local farms and mills. 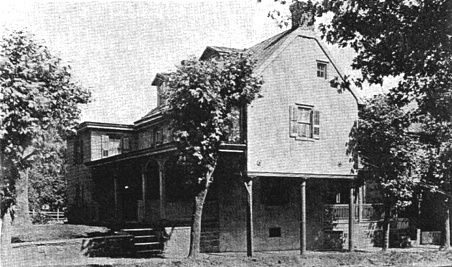 Many locals, who were still loyal to the Crown, would take their produce into Philadelphia for sale. George Washington placed patrols all around the city to prevent the farmers from taking their goods into town and to prevent the British from confiscating supplies as much as possible. In January of 1778, a 23 year old Brigadier General John Lacey was placed in charge of the patrols north of Philadelphia. Lacey experienced enough success in his operations that the British made his capture a priority. 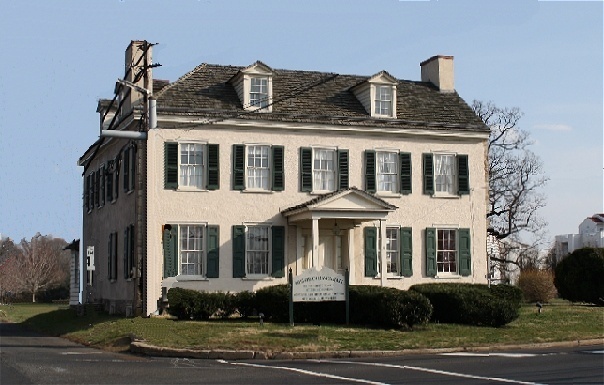 By late April, Lacey had established a headquarters near the Crooked Billet Tavern in a small town known as The Billet, which is in present day Hatboro, about 16 miles north of downtown Philadelphia. The British had placed spies in the area to watch his movements and on April 30, a troop of 850 men marched out of Philadelphia under Major John Graves Simcoe to attack Lacey's men. Lacey's 400 men were mostly untrained and under armed local militia. His group was constantly changing in size as members came and went and he often had trouble keeping his force manned. On the night of the 30th, Lacey gave instructions to several subordinates to make scouting missions to watch for British movements. Unfortunately, Lieutenant William Neilsen did not follow his orders to go scouting between 2 and 3 am. Instead, his patrol didn't leave until just before daybreak and ran right into Simcoe's men as they approached the sleeping camp. Lacey was sleeping in a nearby house and was awakened by the skirmish when the attackers were only 200 yards away. The entire camp was virtually surrounded and Lacey knew he could not survive a head on fight. Instead, he quickly ordered a retreat across an open field and into a wood. Nearly a fourth of his men were wounded, captured or killed. The British attackers at Crooked Billet were about 2/5 Loyalists born in America. This meant there were numerous cases of neighbor fighting neighbor and even family member fighting family member in the battle. The great tragedy of the Battle of Crooked Billet is that the British tortured and killed several wounded and captured militia members. Many Americans had hidden in a large pile of buckwheat straw and were burned alive. Others who were wounded were thrown onto the pile of burning straw, while others were bayoneted and slashed with sabers. Brigadier General Lacey was soon replaced by George Washington. 26 Americans were killed in the battle and 58 captured, while 10 valuable wagonloads of supplies were lost. The British had none killed and only 7 injured. In spite of the loss, General Lacey is credited with quick thinking for quickly ordering his troops to retreat and preventing greater carnage.